New babies are studies in perfection. 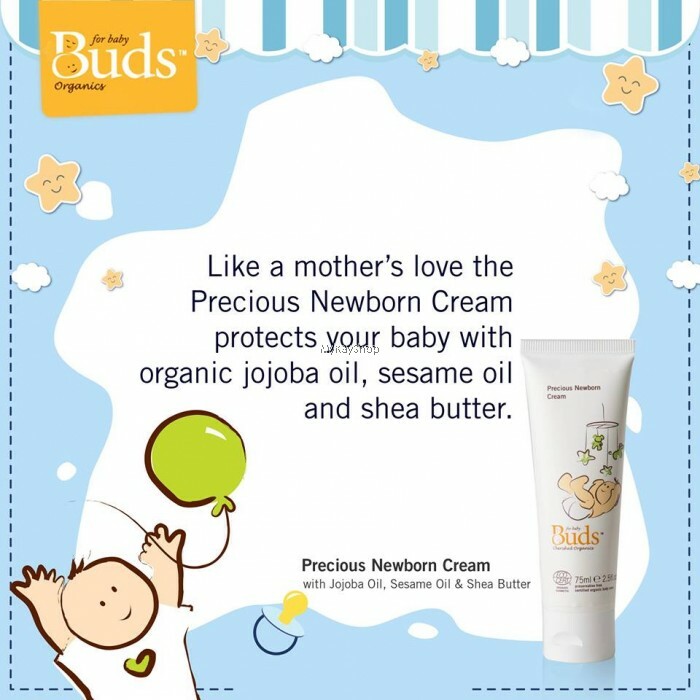 Our Precious Newborn Cream is specially created for those ﬁrst three months. Combining the beneﬁts of JOJOBA OIL, SESAME OlL and SHEA BUTTER with INCA lNCHI OIL to preserve and protect, this lavish cream is also boosted with soothing SPENT GRAIN WAX and ALOE VERA EXTRACT. 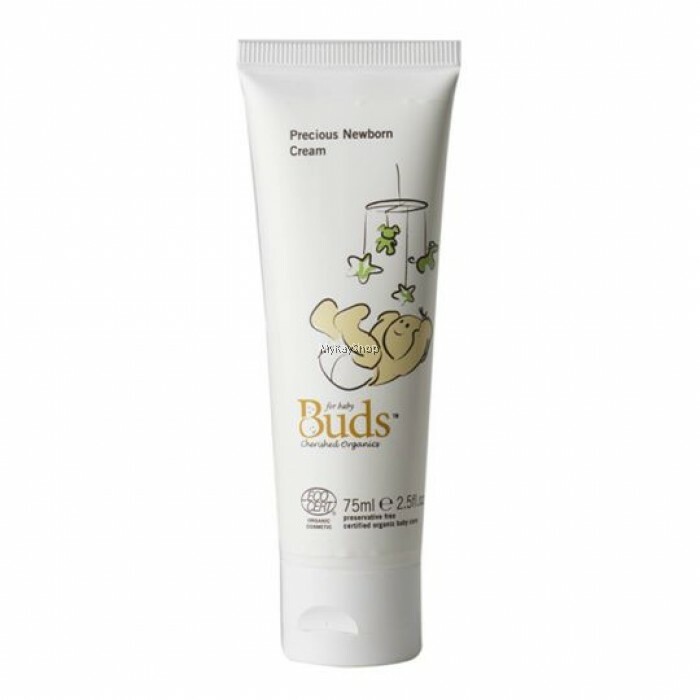 OLIVE LEAF EXTRACT completes the cream by promoting skin hydration and providing potent antioxidants. Use daily to nourish and help newborn skin adjust to life on the outside. Apply liberal amounts of our cream on your newborn every day. 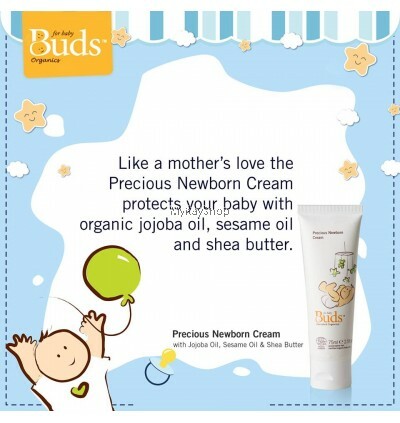 This nourishing cream will hydrate, protect and shelter your newborn's delicate skin. Suitable for use from perfect little head to precious tiny toes. Aloe barbadensis leaf juice*, simmondsia chinensis (jojoba) oil*, plukenetia volubilis (inca inchi) seed oil*, butyrospermum parkii (shea butter) fruit*, xylitylglucoside, anhydroxylitol, xylitol, cetearyl olivate, sorbitan olivate, sesamum indicum (sesame) seed oil*, spent grain wax, argania spinosa kernel oil, glyceryl undecylenate, olea europaea (Olive) leaf extract, tocopherol, helianthus annuus (sunflower) seed oil, lavandula angustfolia (lavender) oil*, butyrospermum parkii (shea butter) extract, cananga odorata (ylang ylang) oil*, parfum/perfume, benzyl benzoate**, benzyl alcoho**, geranio**, farnesol**, limonene**, linalool**, phytic acid.